Zipline Logistics had the honor of attending the very first Clean Transportation Forum hosted earlier this month by UpGrade Ohio. The event was held in collaboration with Hocking College and Clean Fuels Ohio and focused on facilitating discussions around cleaner-burning, electric, and fuel cell-based drivetrains, improving fuel economy and fleet efficiency, and implementing cleaner alternative fuel infrastructure and planning. 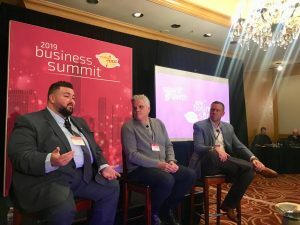 Zipline Logistics shared insights from “a 3PL point of view.” President and co-founder Andrew Lynch discussed what Zipline is doing today to promote sustainable transportation and what he expects for our industry in the near future. Class 8 trucks — vehicles with a weight exceeding 33,000 lb. — are historically the last to adopt new fuel technologies, even though the transportation industry accounts for one-third of carbon emissions and 28 billion gallons of diesel fuel per year. McKinsey reports that by 2030, electric semi trucks could account for 15 percent of global truck sales and that their price could even out to match that of diesel as battery technology, electric motors, and software advances. There are already electric semis in the market. Telsa’s truck, being released in 2019, has a price tag that’s estimated to be over $200,000, far above the average $120,000 price tag of a diesel Class 8 vehicle. Large companies like J.B. Hunt, Walmart, Anheuser-Busch, Meijer, and UPS have already preordered. Yet 90% of the trucking market is comprised of mom-and-pop operators with six or fewer trucks under management. For them, electric semis are still out of reach. The trucking industry must also overcome “range anxiety” before there is wide adoption of electric vehicles (EVs). Range anxiety hits on the fear of having a battery run out of energy far away from a recharging station. The latest Telsa semi is reported to have a range of 600 miles, and a new model from Thor Trucks has a charging range of 300 miles. Luckily for EVs, the trucking market looks like it could be shifting towards a capacity optimization model that supports or matches the foreseen limitations. Zipline’s recent ELD Survey shows that drivers of fleets with less than 30 trucks desire loads with shorter hauls lengths. Due to Hours of Service (HOS) restrictions, they prefer shipments 450 miles or less. Lanes longer than 450 miles have shifted from one- to two-day deliveries and take away from earnings potential. Most importantly, a charging infrastructure is essential to properly address range anxiety. 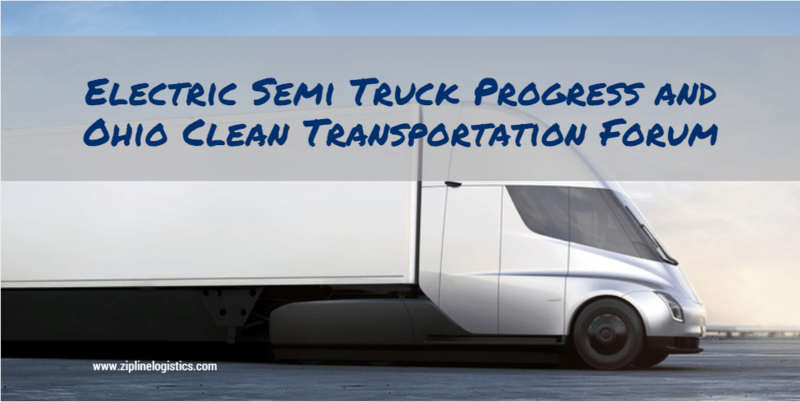 Even if a trucker is capable of investing in an electric semi, they will need charging stations at truck stops, pickup and receiving locations, and their home-based facilities. At the UpGrade Ohio forum, representatives from Smart Columbus discussed how they are putting electrification of transport in the forefront and building the necessary infrastructure for widespread adoption. A charging network is in the making, at least for consumers in Columbus, Ohio. In fact, AEP Ohio announced last week a new $10 million rebate and incentive program that will encourage the development of 375 new electric vehicle charging stations. Even as electric trucks are ready to hit the pavement, there is still a lot that needs to be done before there is widespread adoption. As the infrastructure grows for consumer vehicles, the trucking market will likely follow suit, but with lag. Attendees of the Clean Transportation Forum also discussed how the engines of electric vehicles are less complex than traditional vehicles with internal combustion engines. They promise lower maintenance cost that could offset larger upfront costs. Yet, an entirely new workforce of technicians will need to be developed to properly service maintenance needs. Working on a battery engine is vastly different than diesel. A traditional diesel truck engine has 16,000 parts while an electric truck of the same size has just 16. Rather than a toolbox, they’ll need a laptop. Columbus State Community College is ramping up curriculums to address the concern. Their Automotive Technology program includes two courses for hybrid and alternative fuels and prepares students for Automotive Service Excellence (ASE) certification examinations. What Can We Do Today to Reduce Truck Emissions? With the widespread adoption of electric semi trucks still years away, Lynch shared with Forum attendees what immediate changes could be made to improve environmental impacts and fuel consumption. 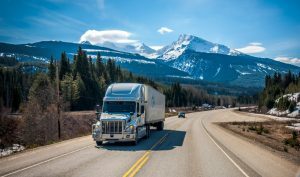 Semi trucks operate at 5-6mpg, but the North American Council for Freight Efficiency reports that there is potential for today’s semi trucks to run at 10.1mpg. Improvements that address aerodynamics, speed, and equipment maintenance can help drivers achieve better fuel efficiency. And before electric trucks are available to everyone, new technology solutions in development – such as truck platooning, engine accessories, and solar panels – will have an impact on emissions. What is Zipline Logistics Doing for Clean Transportation? Zipline is helping customers cut down on miles traveled through order and appointment optimization, consolidation programs, and, truck sharing. Identifying ways to reduce emissions and spend are daily procedures done for all Zipline Logistics customers. Optimization is baked into our operation standards. We’re committed to promoting sustainability in trucking and look forward to incorporating the technology advancements discussed at the Clean Transportation Forum.